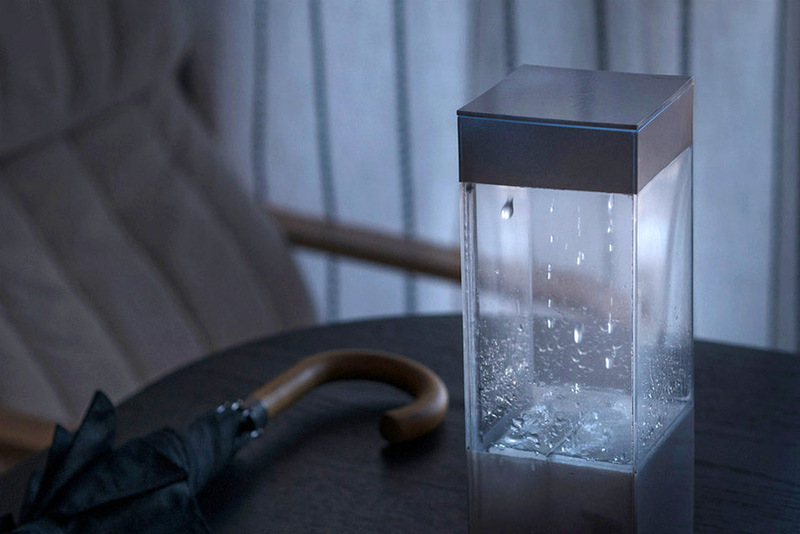 Ken Kawamoto has created a quite delightful device. 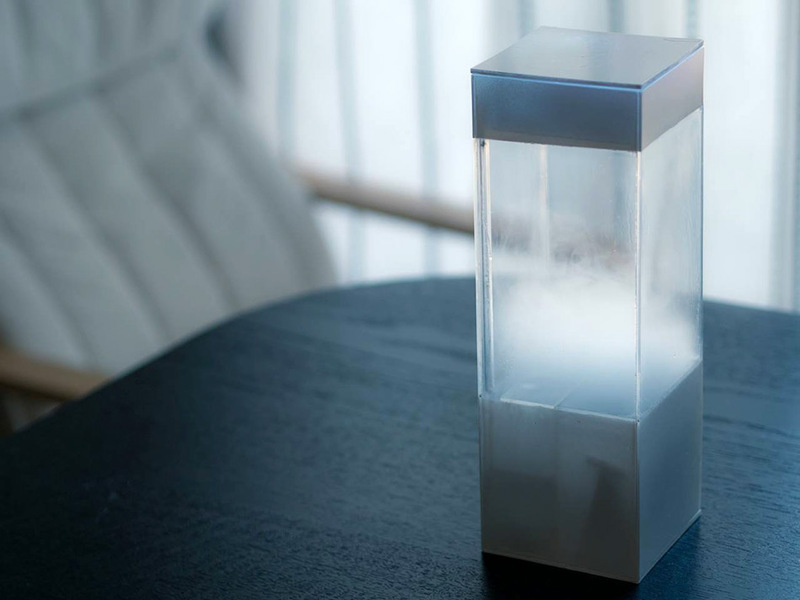 The device is capable of downloading information about upcoming weather off the internet, which it then translates into a variety of modes to replicate sunshine, clouds, rain, and even lighting. Kawamoto made an early version of the device available as a free open-source project called OpenTempescope so you can try building your own, but a consumer version is planned for Kickstarter later this year.